Pain sensitive patients with exuding wounds or ulcers need Cutimed® Sorbion Sana Gentle 7323316. 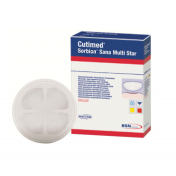 This dressing is specifically designed to be extra gentle for patients with contact sensitivity and eliminates the need for a wound bed contact layer. The primary dressing's gentle nature is from its special three-dimensional design to the square packet which minimizes contact to the wound bed for extended comfort. Sorbion Sana is part of BSN Medical's exclusive line of Super Absorbent Dressings that truly stand out against the competition due to its Hydration Response Technology made of selected cellulose fibers and gel-forming polymers. 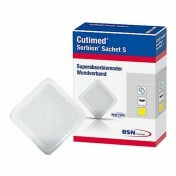 As moisture is absorbed, the polymers turn to gel to manage large amounts of wound exudate and trap bacteria. 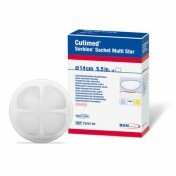 This creates faster healing as the gel removes bacteria and maintains a moist wound environment to protect granulation tissue. 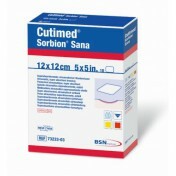 Sorbion Sana 13 x 9 inch dressing is ideal for wound beds with uneven healing. 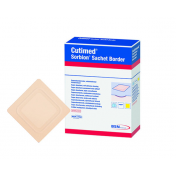 The dressing can protect the wound four to seven days making it cost effective and be extra sensitive to delicate tissue with fewer dressing changes required. 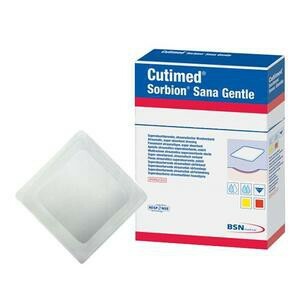 When needing a smaller size, Sorbion Sana comes in a variety of packet sizes. You may want try 5 x 5 inch in a box of 10 dressings.